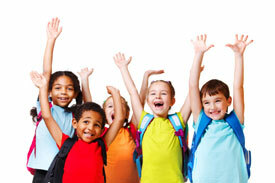 How much does your child’s backpack weight when they head off to school in the morning? Do you know? It’s okay if you don’t. The truth is that most parents don’t know but you need to. A backpack weighing more than 15% of your child’s bodyweight can damage their developing spine. 5. Every Sunday empty out your child’s backpack and review that they have stuffed inside. You would be surprised what items accumulate inside that add unnecessary weight. If this is a teenager, find out if they need to carry all their books all the time, or is their schedule Monday, Wednesday and Friday different from Tuesday and Thursday? 4. Check the backpack straps for proper shoulder placement, making sure that the bottom of the backpack is two inches above the waist and resting in the curve of the lower back. 3. Continue weekly reminders that wearing the backpack on both shoulders prevents postural problems. 2. Weigh your child’s backpack once a week to determine if it is within the safe range of 15% or less of your child’s body weight. 1. If your child is not under regular wellness chiropractic care, check our child’s shoulder and head level at least once a month to determine if they are showing early signs of repetitive stress on their growing spine. A Family Wellness Chiropractor who is trained to detect the early signs can perform this exam. Like dentistry, early detection and correction is key to better health.